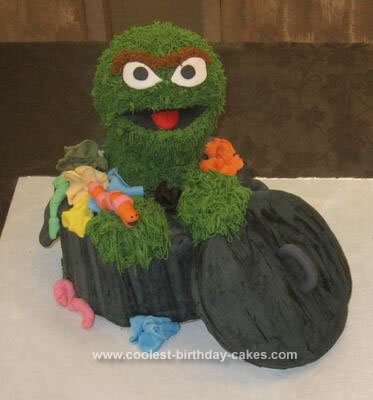 This Sesame Street birthday cake is my son’s 2nd birthday cake. He loves Elmo so it was the perfect choice for this birthday! This cake is a marble mud and absolutely delicious. The bottom part is edible and the top 2 layers are foam so that we can keep them as a keepsake. The hardest part of the cake was keeping the small round balls in place. Also the characters were quite heavy and hard to keep in place. Everybody loved the cake, but it was heart breaking to cut it! We did make the cake too big and over-catered, but it meant that everyone could take a piece home. We have kept the foam part of the cake in our china cabinet which is a lovely reminder of the day. We loved the way the cake turned out, the colors, characters and decorations, but if I were to do it again, I would use the Sesame Street font to make it look more authentic. 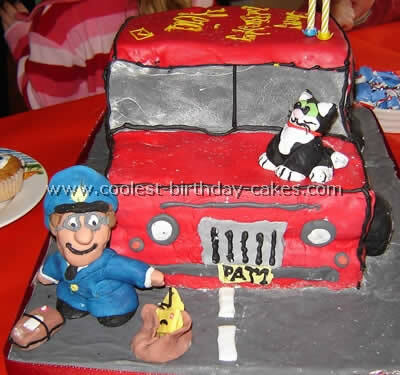 Hi There, I love this cake, I am going to have this exact style for my sons first birthday. one question ? where did you get your cake toppers ?